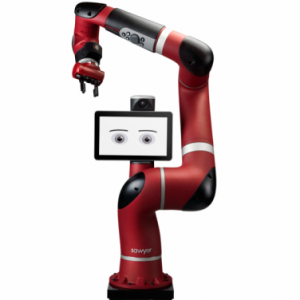 Sawyer is a smart collaborative robot that is easy to program, has advance features such as integrated vision and force feedback. Active8 Robots specialises in co-packing and material handling solutions. We can help you fast-track your project and deploy a fully working solution with the shortest timescales in the industry. 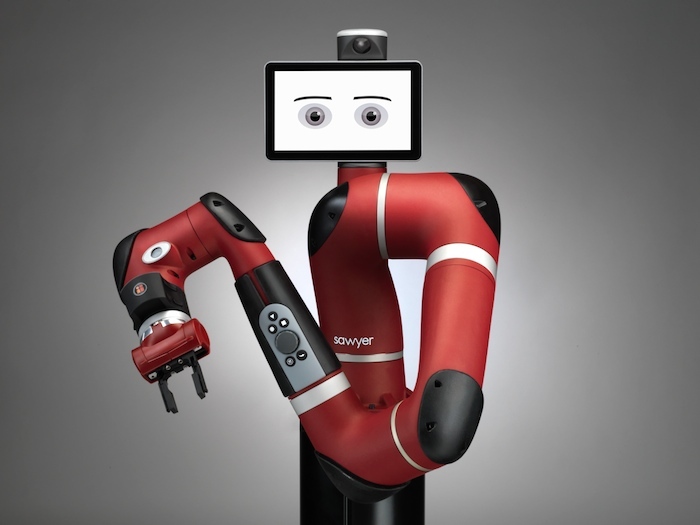 Sawyer is a new breed of smart, collaborative robot from Hahn Group. Sawyer redefines how robots will be used in manufacturing around the world and presents a low cost, flexible automation solution to businesses. 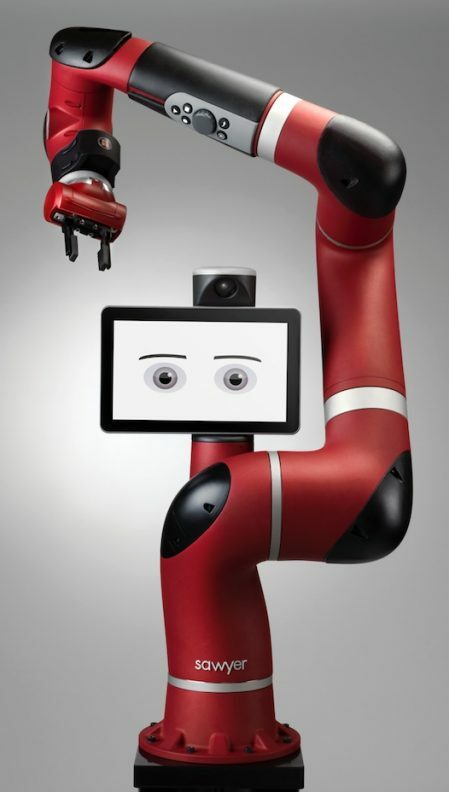 Sawyer is a revolutionary high performance smart, collaborative robot designed for machine tending, circuit board testing and other precise tasks which other robots are just not suited for. Sawyer is faster, lighter, stronger and more precise than Baxter. Cleverly designed to be able to operate and reach in smaller spaces, Sawyer can work side-by-side with human co-workers in a smaller space. With a 7 degree of freedom arm and an impressive 1260 mm reach Sawyer can manoeuvre into the tightest of spaces which opens up a whole variety of new applications. Sawyer features a new embedded vision system, with a head camera for wide view applications and a Cognex camera in its wrist that can support many complex vision tasks. With the Cognex wrist camera and Robot Positioning System, rapid re-deployment and dynamic re-orientation takes even less time, and with many more features being added Sawyer will only keep on improving. Please give our automation team a call now for an evaluation of your potential for using robots or to see how they improve your profitability. 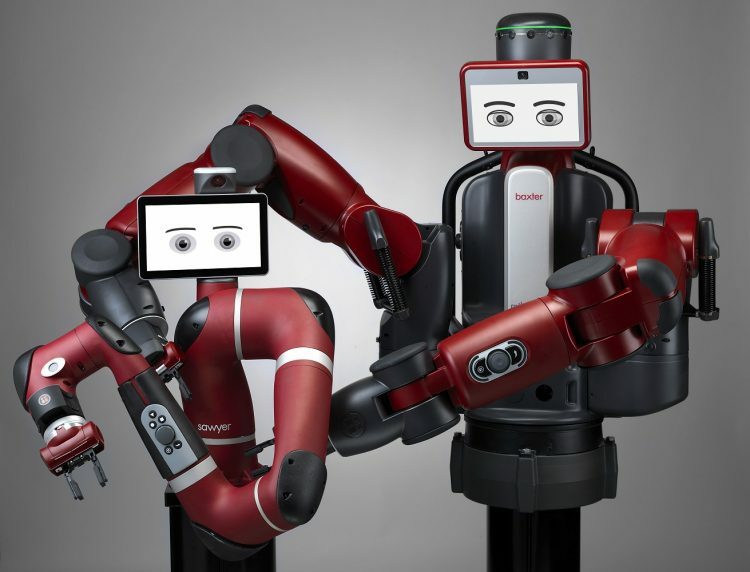 Sawyer is a low cost solution for automation.